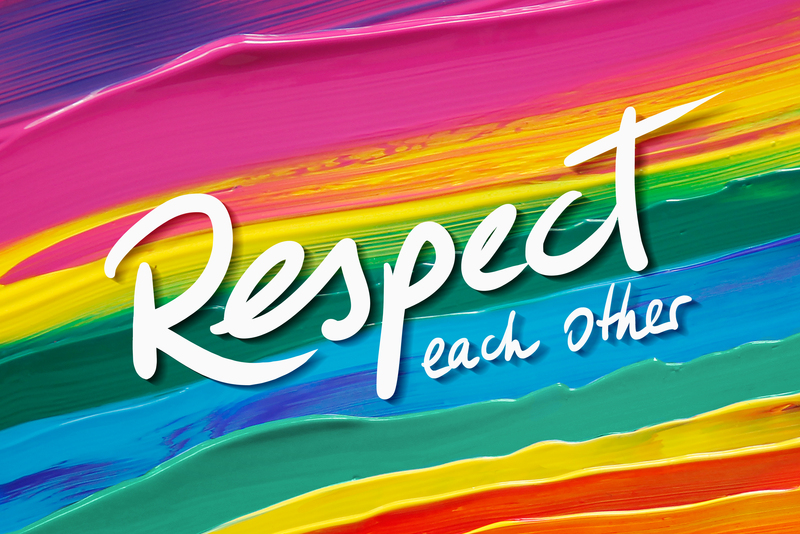 The Colours of Respect are inspired by the colours of the rainbow designed by Gilbert Baker back in 1978. 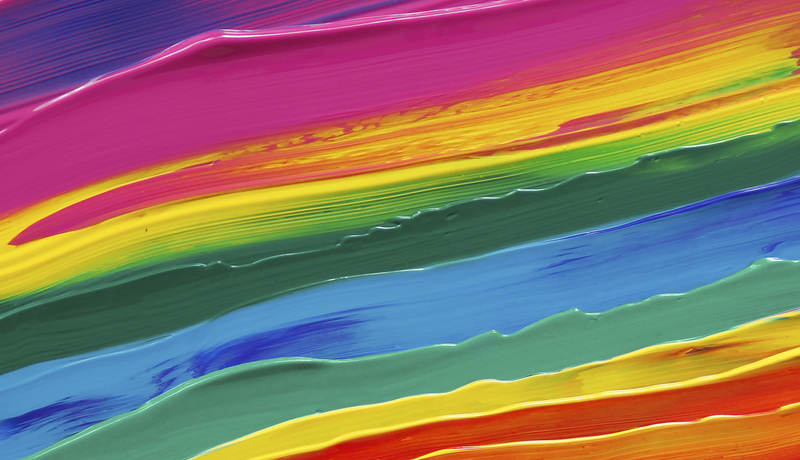 It has since been a symbol of the LGBTI, peace and environmental movements in different variations. The Colours of Respect differ in the order, number and significance of the colours. 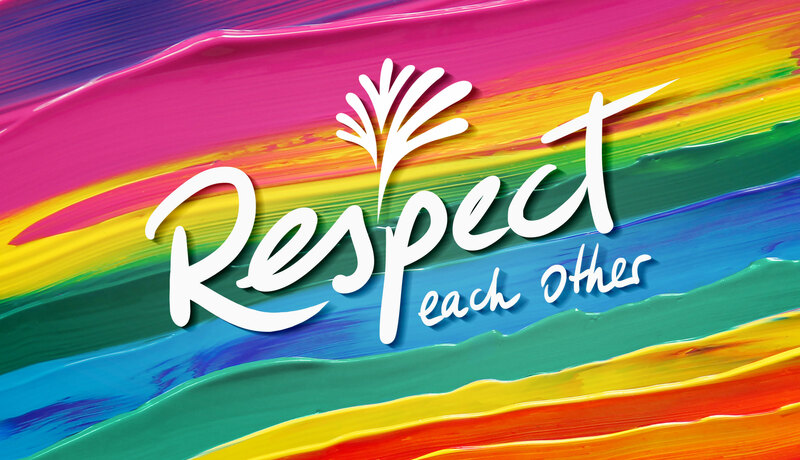 The Colours of Respect are not associated with any particular social, political or sexual orientation. They are an independent, politically neutral statement for all those committed to mutual respect. Violet = spirit: respect other views and experiences, even if they contradict your own. We do not all have to share the same opinion and not every argument must end in consensus. Accept differences of opinions. Magenta = sexual orientation: respect all legitimate sexual orientations. Sexuality is a spectrum and in nature, diversity is the norm. Therefore different sexual orientations are normal and natural. Yellow = origins: respect all nations, ethnicities and skin colours. It is education, circumstances and coincidences that make us good or bad people. There are bad people of all skin colours, social classes and countries. But more good ones than bad. Red = life: respect life – your own and that of others. Green = nature: respect nature as the basis of all life. Respect the finiteness of resources and that other people also need access to these to live and survive. Royal blue = belief: respect people, who believe in a religion as well as those who do not. Beliefs and ideologies that inhibit or endanger others or consider themselves above the law or superior to others are not to be tolerated. Turquoise = art: respect the freedom and diversity of art. Oppose all forms of intervention into artistic freedom, including anticipatory obedience. While you do not have to like all art, you should respect its right to exist. Orange = health: respect people with and without disabilities. Attempt to see things from other perspectives. Respect does not mean naivety or defencelessness. Do not accept states, organisations or people, that discriminate against, persecute, injure or kill others due to these aspects. Respect also means differentiating, avoiding generalisations and not taking individual events or groups as representative of the whole. Take a differentiated approach so that your words or actions do not exclude those not involved. Nazi methods should not be used to combat Nazis nor delusions or terror used to combat deluded terrorists. The choice of words and actions is what distinguishes decent people from those who are not. The Palast’s history dates back to the founding in 1919 of the Großes Schauspielhaus theatre. Our three founders, Max Reinhardt, Erik Charell and Hans Poelzig, suffered under the NS regime as they were of Jewish descent, homosexual or their architecture was deemed “degenerate”. During the Third Reich, the Palast became the largest propaganda theatre of the National Socialists. Up until 1990, it was then the flagship entertainment theatre of the German Democratic Republic (GDR). In light of its past, the Palast consciously advocates diversity, freedom and democracy. While democracy is far from perfect, it is the only form of government that allows both the majorities and minorities their freedom. Our history shows that freedom is not simply there – and it is often lost again more quickly than one would think. It must be asserted every single day. You are able to use and share the Colours of Respect. Use is free – and we would also be delighted if you did so. We will only become active if its use pursues contrary intentions. Please see the download area for a version without the Friedrichstadt-Palast Berlin’s distinctive flourish and our internet address. You are able to add your logo, website and personal reason for using the Colours of Respect to the flag instead. The Palast’s history began with opening of the Großes Schauspielhaus. This Berlin venue owes its international acclaim to the artists Max Reinhardt, Hans Poelzig and Erik Charell. A memorial has been erected in their honour.